Set on 20 acres of rolling green fields and with striking views of the Woodcock Mountains, the hotel is perfectly positioned for a relaxing stopover along the Wild Atlantic Way and the ideal base for exploring Limerick city or the rugged beauty of Clare. Porters Restaurant is a friendly, informal venue for an evening meal. Their A La Carte or Table d'hôte menus can always be complemented with a bottle of wine from the extensive wine list. The hotel also offers a delicious children’s menu, along with the renowned Radisson Super Breakfast buffet, served daily from 6:30 until 10:30 on weekdays and from 7:00 to 11:00 at weekends. Porters Restaurant is open nightly for dinner from 17:45. The Rain Spa Leisure Access at Radisson Blu Limerick has an extensive range of refreshing and soothing therapies to enjoy in luxurious private treatment rooms. Unwind in the indoor pool, outdoor Jacuzzi and thermal suite before your treatment, then sit back, relax and close your eyes to start planning the next stage of your journey on the Wild Atlantic Way. During your stay, take advantage of the peace and tranquillity of the hotel's spacious landscaped gardens, 800m Walking Trail or take a short drive into Limerick's city centre where you can browse a variety of shops, conveniently located only 10 kilometres away. 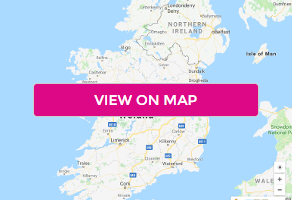 The wonders of both the Wild Atlantic Way and Ireland’s Ancient East are a short drive from the hotel, guests can marvel at the Cliffs of Moher or soak up some history at Bunratty Castle and Folk Park or the magnificent King John's Castle. The hotel also benefits from close proximity to Thomond Park and the superb Foynes Flying Boat and Maritime Museum. No extensions will be offered on expired offers. All Spa Treatments are payable direct to the hotel.